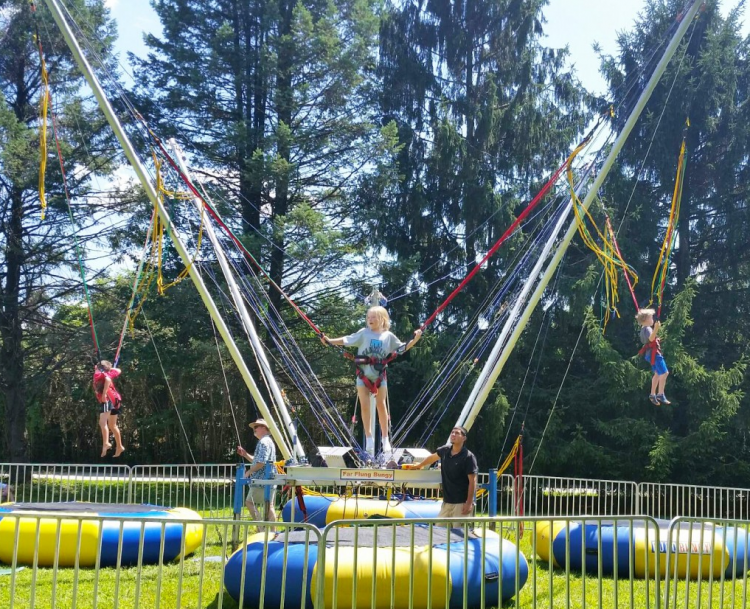 Our Extreme Air Bungee Trampoline allows participants to soar high in the air. The bungee trampoline will be one of the most popular things to do at your next festival or carnival. Jump up to 25 feet in the air and perform back flips and other extreme tricks! Charlotte Party Rentals bungee trampoline’s cutting edge and safe technology allows participants to focus on the fun knowing that they are protected. This is sure to be a huge crowd-pleaser, it’s just as much fun to watch as it is to jump. Call us today to make sure you have this at your next event!